I’ll be frank, I don’t have a very complex beauty routine. In fact the only thing I wear on my face daily is an ALDI 30+ UV tinted moisturiser, and 18 months ago I shaved my head for the childrens cancer charity Redkite, so my locks are very easy to manage with a quick brush. If stretchmarks run in your genes then I consider myself lucky – my mum gave birth to 3 children and doesn’t have the hint of any stretchmarks at all. When I found out I was pregnant, I went out and brought some Bio Oil, because well the ads told me to. And Zoe Foster Blake, because if I’m going to listen to anyone, it’s that hilarious intelligent woman! Unfortunately, I didn’t really listen to her that well and have been pretty slack with using it the recommended twice a day. Of all the people though, my boyfriends beauty routine consists of one thing, and one thing only – sorbolene crème. And if my grandmothers hands are anything to go by, this stuff does the trick because she has the softest old lady hands one has ever felt! Now I don’t pretend to presume this will do the trick for all preggies, but I take 2 showers a day, and I have a huge 1 litre bottle of Redwin Sorbolene Crème on the sink that I lather on my whole body after every shower. It contains Vitamin E which is an antioxidant and acts to protect – Vitamin E is actually really good for you during pregnancy and can help in the later trimester to ward off any complications, like high blood pressure. 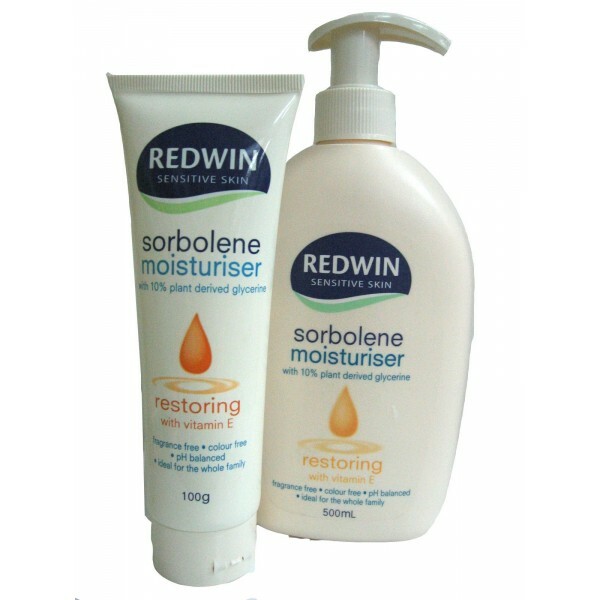 Redwin Sorbolene also contains 10% glycerine which helps soften the skin and prevent dryness. So give it a try – I’m 8 months pregnant now and have no signs of any stretchmarks, but that could be down to genes, and it could be down to still have 2 months to pop! But in the very least, I have super soft skin and with sensitive skin like mine, I highly recommend this crème. I also still use my Bio Oil, sometimes at night time on my stomach instead of the sorbolene, and I love how it smells and feels – mixing the two together in a tub is an easy hack to help you remember to use both!